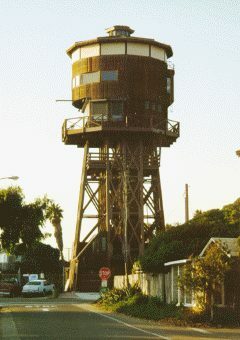 This city water tower was converted into a house. Three wealthy doctors purchased and rebuilt it into a three story home with a 360 degree view. An elevator takes people up the center of the structure.